Never been a better time for expats to buy a Dubai home. As the prices in the secondary market continue to soften and the cost of capital remains low, a new opportunity is available for those who in the past could only dream of owning a home in Dubai. Many residents have long faced the frustrating reality of lining the pockets of their landlord in a city that has one of the highest margins in the world. As the Dubai real estate market progresses through its cycle and properties are becoming more affordable across the emirate, mortgages are now more attainable. While a 25 per cent down payment can still pose a challenge for some, this threshold can be within reach given the lower property values. 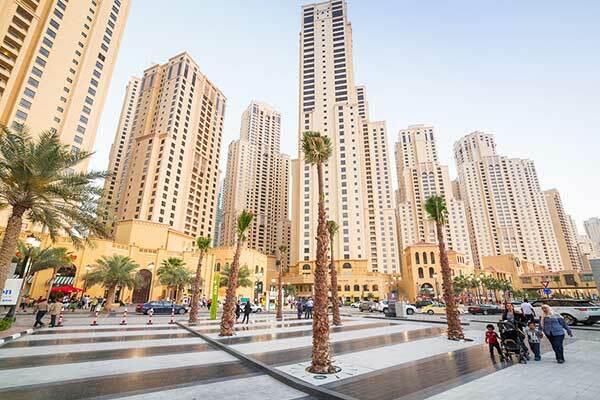 According to the Dubai Land Department, there has been an almost 12 per cent increase in mortgage transactions in March 2018 versus March 2017. This trend indicates an overall maturing effect in the market, which can only be positive in the long term. It is a well-known fact that Dubai is a transient city, resulting in a general hesitancy among expats to invest in owning their own home. The ‘rent vs own’ question is a key debate over the dinner table in many expat homes, I am sure. As an expat, the key question I find myself asking is: Do I continue to rent for the next 5 years? Or do I invest now while it’s affordable and drive a hard bargain to own my home? A colleague has recently done exactly that – after 4 years of renting an apartment on the Palm Jumeirah, he decided to take a bold step and buy a family home in The Lakes. This move would have previously been out of reach. However, according to the 2017 Annual Property Report released by dubizzle and JLL, prices in Emirates Living decreased by 17 per cent over the last 18 months, making this investment possible. In turn, the monthly outgoings he was paying on rent have reduced by more than half and he is now comfortably paying off the mortgage for his own home. While some areas experienced a decrease over the last 18 months, the report also revealed that some areas witnessed an increase. For example, villas in Town Square and Mohammed Bin Rashid City have seen prices increase by as much as 54 per cent. This growth comes from a modest release price. However, as people put down their long-term roots, some of the more distant communities look attractive as a home as opposed to an investment. This is good advice for those who are looking to make the UAE their home for the next 5 years or more, particularly as the market has a little more softening to go. As more properties are released in ‘statement’ developments, stock levels will increase. This should, in turn, give more opportunity to the mortgage buyer and give the market a more mature feel. The Dubai Expo 2020 is just over 2 years away and we have a while to go until we see the true maturing of the market. However, one thing is for sure – there has never been a better time in the UAE’s fairly young property market to get a home for yourself.